RoA set 16: Do you want to see real beasts? All miniatures are in 4 colours and unpainted (total: 40 minis). Figures represent big tough beasts, consist of wood, whips and bones. These dreadful creatures terrorize forests all over the world. 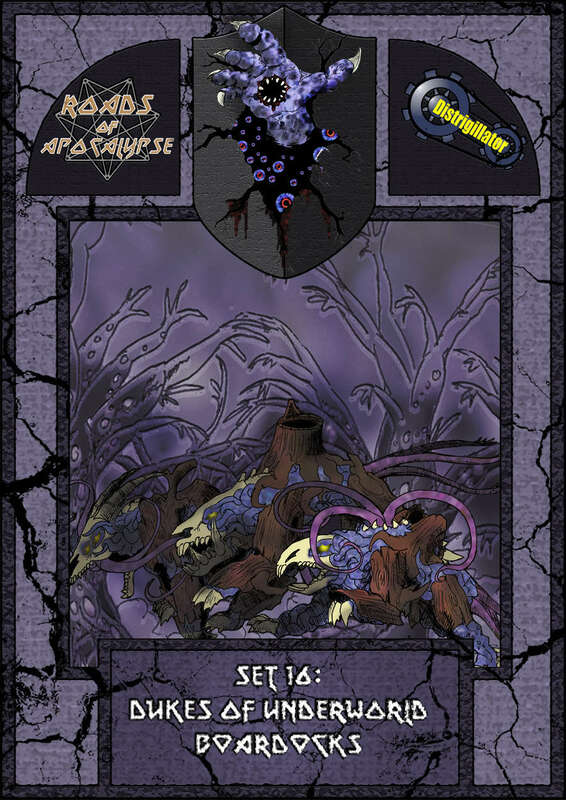 Roads of Apocalypse (4th ed.) - Set 16: Dukes of Underworld Boardocks.